A lot of people must have heard about oat milk. It's an excellent product for replacing traditional cow or goat milk for vegetarians and people with lactose intolerance. Can it compete with products of animal origin for its usefulness and nutritional value? Let’s try to find out. First of all we need to understand how it is produced. Raw porridge serves as raw material, we can see it from the name of the milk. But only flakes from whole oats must be taken as the basis. They are soaked in water for 8-12 hours, then they are mealed, and a foamy liquid of white color with a sediment similar to that of regular milk turns out. This liquid should be passed through a sieve and you will get the ready-made milk. And the "cake" can be used for cooking porridge. Use one liter of water for one hundred grams of oatmeal. Oat milk obtained in this way is rich in nutrients different from the milk of animals. It should be noted that oat milk also contains vegetable protein, calcium, vitamin A, iron, and fiber as the bonus. It is interesting that vitamin A in oat milk is twice as much as in cow milk, and iron in it is more by 10%. And at the same time vegetable milk contains less fat and does not contain any cholesterol. This makes it more useful for people suffering from heart disease and reduces the risk of stroke. 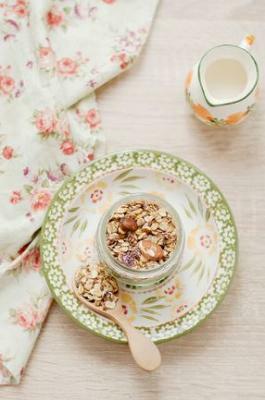 Since oat milk contains calcium, iron and other important minerals, it is useful for maintaining bone density. So the elderly people should consume oat milk. Vitamin A, contained in sufficient quantities in oat milk, acts as an antioxidant, which is responsible for eye health, reduces macular degeneration and retinal sensitivity to oxidative stress. In addition, a large number of antioxidants protects the body from the harmful effects of free radicals, and promotes the rejuvenation of the body. Zero cholesterol, low level of fats and dietary fibers make oat milk an ideal product for weight loss and cleansing the body of toxins. It gives a sense of fullness and can serve as a wonderful snack. Milk based on plant components is becoming more and more popular: coconut, rice, almond. Vegetable analogues can be considered a healthy substitute for traditional milk, so if you watch your health, dilute your menu, make it diverse, try a new one, but do not forget about traditions.